Global rights watchdogs and Nepal’s national rights commission have asked Kathmandu to pressurise Myanmar for safe and dignified return of Rohingyas to their homeland as Myanmar’s state counselor Aung San Suu Kyi began a two-day Kathmandu tour today. The Amnesty earlier this month took back its highest honour, the Ambassador of Conscience Award, from Suu Kyi for her “apparent indifference” to atrocities committed against the Rohingya and her increasing intolerance of freedom of speech. “The geopolitical factors should not affect the human rights issue. The Nepal government must present its clear position on the matter,” Ansari said, adding the Himalayan nation was also obligated to pressurise Myanmar on the issue being an incumbent UN Human Rights Council member. 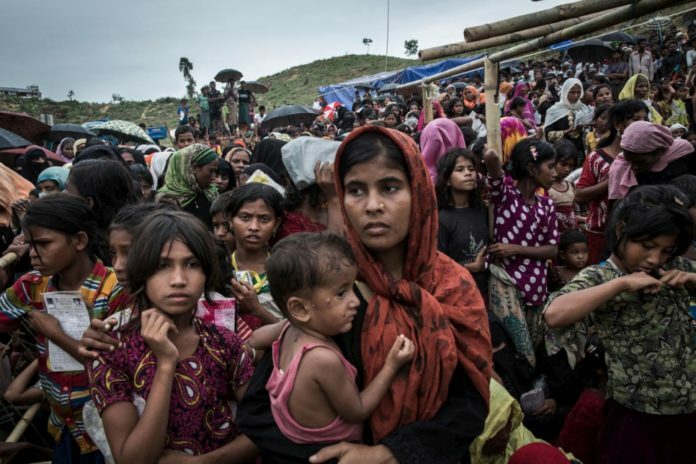 Media reports earlier suggested some 400 Rohingyas also took refuge in Nepal although over a million of them found Bangladesh to be their makeshift abode on the face of brutal military crackdown at their homeland.